Note that the bridge to MT4 is for Trade History only. 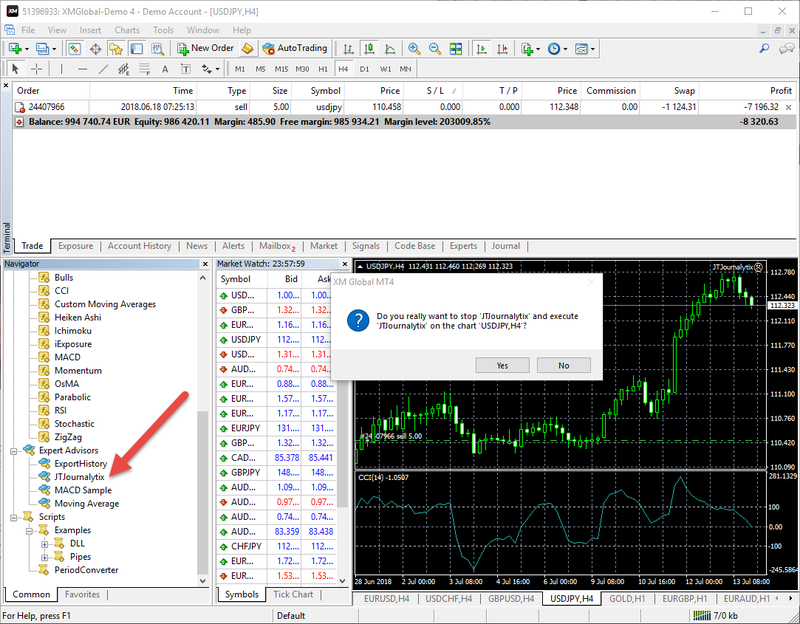 There is no setup on the daytradr side for MT4 connectivity. It will detect that it is there automatically. 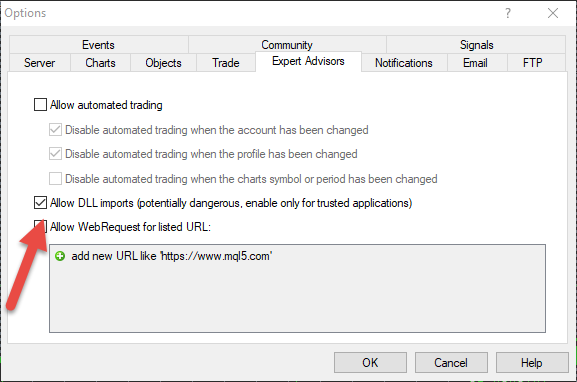 Add the Expert Advisor "JTJournalytix" to ANY chart in MT4. It does not matter which symbol it is. This is just to run the code that will pass data to daytradr. 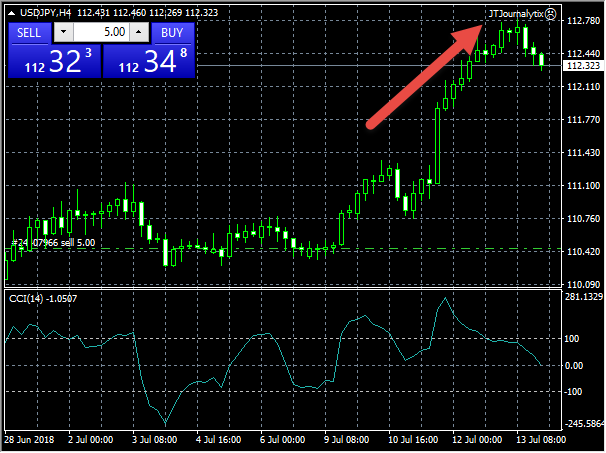 You will see the JTJournalytix EA is running as it will be visible in the top right hand corner of the chart. Leave this EA and daytradr running at all times. Do not add the EA to more than 1 chart. It is not necessary.